Even with the rate increases from May, mortgage rates are at incredible levels of which prospective borrowers should take advantage. 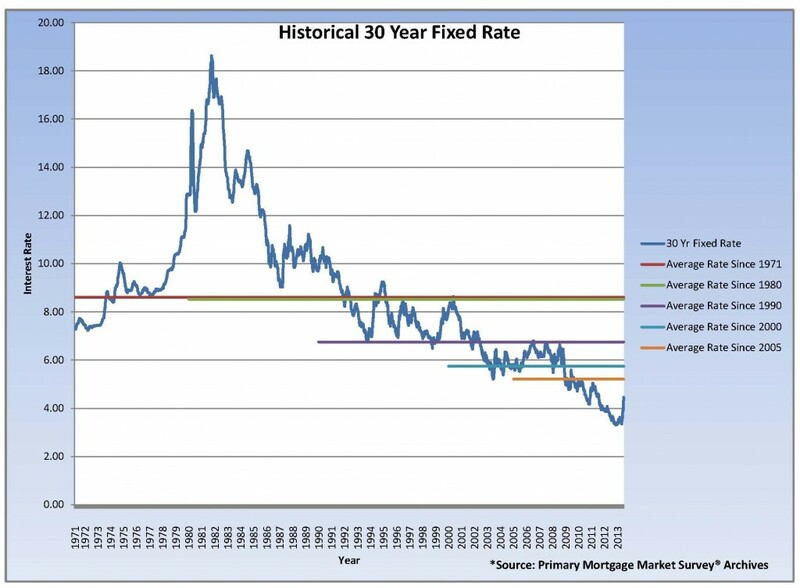 Twenty years from now people will be talking about how they should have bought back in 2013 and financed using 4.0% interest rates, just like they talk about how they should have bought that piece of property back in 1990! Click link at the bottom if you wish to review on a larger format.